Del Mar and Saratoga approach as rapidly as the shiny grille of a downhill runaway Mack truck. The former arrives Friday, July 15, and the latter thunders into town one week later. You know you’re going to play the races from one or both of these summer stands. How could you not? Both feature large, competitive fields, massive wagering pools and some of the very best jockeys, trainers and horses on the planet. OK, picking winners on either coast is difficult. I get that. But isn’t that how the game’s supposed to work? What fun (or profit) is there in having a bunch of 3/5 shots win every race? Since we’ve pretty much established that you’re going to invest your time and money in what’s happening at Del Mar and Saratoga, why not get the most bang for your buck? That will occur only when you register FREE today for Xpressbet’s two season-long tournaments: Dime-a-Day Del Mar and Dime-a-Day Saratoga. There’s a total of $100,000 in prize money on the line—doled out in $2,000 total daily increments followed by juicy top seasonal prizes boasting a combined $12,000 to the winner, $6,000 to second and $2,000 to third. Here’s how Dime-a-Day works: Each racing day registered players in either tournament (Del Mar or Saratoga versions) may place a single, live, $10 Win, Place or Show wager on one horse in any race. If that wager returns the day’s highest mutuel payoff of any other submitted contest wager that day at that track, the player collects a $700 first prize. The second highest daily payoff is worth $200 and third $100. The player that accumulates the most cumulative earnings over the course of the entire meet at each track will collect a $6,000 first prize, with $3,000 to second and $1,000 to third. I work for a living and also have a life (including a wife, kids and a dog), therefore, I can’t play Dime-a-Day every racing day. Why should I bother registering? Because this competition is perfect for horseplayers like you. With D-a-D you don’t need to play every day. Register for D-a-D once and play whenever you like—daily, weekly, or once in a while—how often you play doesn’t matter because whenever you play the daily prize is always the same: $1,000 in each version. Of course, the more you play, the better your chances of winning a seasonal prize, but it’s not impossible to claim the crown without wagering every day. What if I’m not interested in becoming a ‘contest’ player? No worries. Dime-a-Day isn’t like other contests. It’s uncomplicated. You make a single, live, $10 Win, Place or Show wager on one horse in any race and that’s it. You’re not required to study 10 or 15 Thoroughbred puzzles while strategizing about which horses offer you the optimum chance of cracking the leaderboard. (BTW Not that there’s anything wrong with that. Some of our best friends are serious contest players and we love them). It’s just that D-a-D can be viewed as ‘tournament light,’ a fantastic way for a contest newcomer to dip a toe into competitive waters without drowning. Don’t these online tournaments usually have exorbitant tournament takeout rates? Yes, sometimes. And we understand how that practice can put your nose out of joint. That’s why Xpressbet contests are rake, skim and takeout free! We view our competitions as account holder perks, so we put prize money where are mouths are. D-a-D has no entrance or registration fees. All you need to do to play and to win is to register FREE and then make a single, live $10 Win, Place or Show wager on one horse in any race. Since that wager is ‘live,’ you keep what you win! So, even though you may not win a daily or seasonal D-a-D prize, with a nice-priced winner or two along the way you actually could come out ahead for the season! I love to play the races, but why should I try to out-handicap tournament sharpshooters? Have no fear. D-a-D is limited to Xpressbet account holders only! That means the pool of prospective foes is about as deep as your toilet bowl. Some racing days, like Mondays at Saratoga, a single-digit $2 mutuel payoff is enough to take down the top daily prize. This is a bit silly. We could go on and on fielding and deflecting objections while extolling the virtues of D-a-D Del Mar and Saratoga, but that would delay you from registering. Here’s the bottom line: You know you’re going to play the races from Del Mar and Saratoga this summer. Get the best bang for your buck with Xpressbet’s Dime-a-Day Del Mar and Saratoga! Register FREE, now! 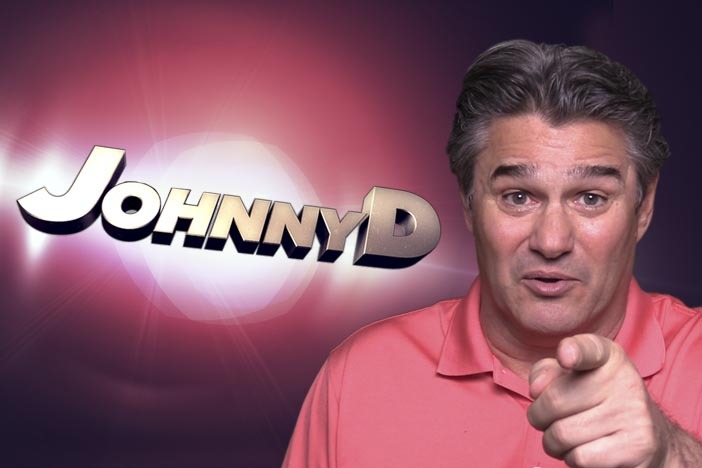 On Track with Johnny D: Spa-tacular!